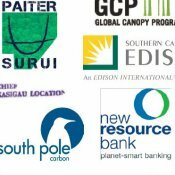 More than four dozen representatives of major corporations, global NGOs, and indigenous communities from around the world have signed a letter of support for including carbon credits from programs that save endangered rainforest in California’s Climate Policy – provided those credits meet certain criteria. SAN FRANCISCO | 18 July 2013 | Eight indigenous leaders from Latin America and Africa have joined corporate giants like Disney and Pacific Gas & Electric as well as non-governmental organizations like Environment Africa and the Skoll Foundation in urging the California Air Resources Board (ARB) to recognize “jurisdictional REDD” (Reduced Emissions from Deforestation & Forest Degradation) carbon offsets, which are generated by saving endangered rainforest in jurisdictions that, like California, are reducing emissions across their jurisdiction. The endorsement only applies to credits from REDD projects that are recognized by and accounted for by those jurisdictions. Among the signatories to a letter of support for jurisdictional REDD are Chief Almir Surui, who spearheaded the creation of the first indigenous-led REDD project, and Chief Pascal Kizaka, who partnered in the creation of the first REDD project ever to sell credits under the Verified Carbon Standard. Their projects are not likely to be impacted by the endorsement, at least not in the near term, because neither is in a jurisdiction that has pledged to reduce its emissions. The letter comes as ARB prepares to finalize the state’s climate policy, and several signatories have also submitted letters individually. At the same time, the independent REDD Offsets Working Group (ROW) released its recommendations for integrating jurisdictional REDD into California’s climate regulations. In an interview with Ecosystem Marketplace last month, Chief Almir said that he sees REDD as a way of bridging collective indigenous values and capitalist non-indigenous values. He emphasized, however, the need to provide safeguards for projects involving indigenous people. Forests are disappearing at the alarming rate of 13 million hectares per year, accounting for an estimated 15% of total annual greenhouse gas emissions. Climate change experts largely agree that climate stability cannot be achieved without the conservation of the world’s remaining forests. REDD+ is one of the best available solutions to this complex challenge. If approved, regulated entities would be allowed to meet up to 2% of their compliance obligations through approved jurisdictional REDD+ offsets until 2018, and up to 4% thereafter. These limitations ensure that regulated entities continue to cut emissions at source while also acknowledging the importance of tropical forests and sustainable land use within climate change policy.